The village of Cawthorne has, over the years, answered to many descriptions and names starting with the Saxon ‘Caldern’ which in the Domesday survey of 1086 became ‘Caltorne’ (the cold house), before acquiring its present spelling in Medieval times. It has also had a variety of leading citizens or landowners from the Saxon Ailric, through the Norman family of De Laci, to the Barnbys of Barnby Hall, onto the three main families inhabiting Cannon Hall, the Hartleys, the Spencers and the Spencer-Stanhopes. With the sale in the early 1950’s to Barnsley Council, the village acquired a new role as a place of recreation, ‘the lungs of Barnsley’ as some local politicians described it. Since the sale of land by the Cannon Hall Estate for property began in the 1960’s, the descriptions of the village have come mainly from the pens of estate agents seeking to sell houses in what they refer to as ‘this much sought-after village’. This completely overlooks the fact that the Cawthorne now so beloved by those involved in the property market is a creation of the last fifty years, but, for those willing to look and use their imagination, there is sufficient evidence of the old Cawthorne going back over 1,000 years. The parish church of All Saints’ is first mentioned in the Domesday Survey for the village which says ‘here there is a priest and a church’. Nothing exists to show the exact site of what would almost certainly have been a wooden church built in Saxon times. 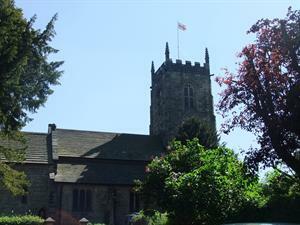 The present building developed gradually from the 11th Century onwards, acquiring its tower and bells around 1457. Most of the present interior dates from a refurbishment planned and paid for by Walter Spencer-Stanhope and the Pre-Raphaelite artist younger brother, Roddam. Their architect was G F Bodley and his influence (and that of Roddam Spencer-Stanhope) can still be seen. 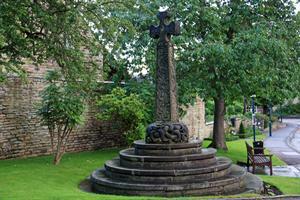 Outside, however, the reconstructed 10th Century Anglican cross which was dug up in pieces in the Church during the refurbishment of the 1870’s testifies to the site’s long history as a place of Christian worship. The earliest settlement in the village would probably be around the North side of the Church, spreading, as population increased, westward downhill along Tivydale and eastward down Darton Road. The leading family of Medieval Cawthorne was the Barnby family, which suffered for sticking to its principles as Roman Catholics in Tudor England and as Royalists in the Civil War of the 17th Century. A timber-framed building from the 15th Century is still in use at the present Barnby Hall, the only authenticated link with Cawthorne’s Medieval ‘gentry’, although buildings of similar age are to be seen at Brookhouses, where late 20th Century repair work revealed timber framing, and parts of The Golden Cross date from the 15th Century. 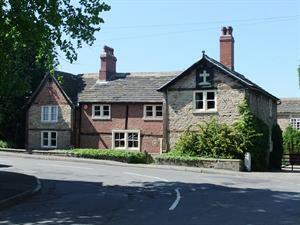 The latter, a prominent landmark in the centre of the village, has returned to being a private residence after spells as a public house, working farm, tea-room and bed and breakfast accommodation. As the fortunes of the Barnby family deteriorated, a new family arrived in the village. The Spencers came in the mid-17th Century from Denbighshire in Wales looking for minerals (coal and iron). By marriage into the Hartley family they acquired Cannon Hall and the surrounding land, increasing their wealth by coal and iron mining and iron smelting (in partnership with the Cockshutt family). These developments changed the employment pattern of the village from Medieval Cawthorne’s reliance upon agriculture and related trades to a more industrially-based pattern. By the time that bachelor John Spencer died in 1775 and left his estates to his nephew, Walter Stanhope, of Horsforth (who, in gratitude, adopted the name of Spencer-Stanhope) the Industrial Revolution had begun. By various means, including a property exchange with the Wentworths of Bretton, the family extended its possessions until by the second half of the 19th Century Cawthorne was a complete estate village with approximately 90% of its land and buildings owned by the Spencer-Stanhopes. Reminders of this village are still there in abundance. 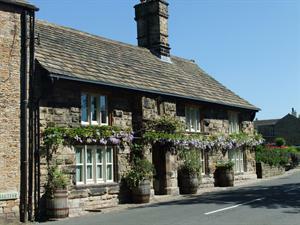 The village pub, a survivor from the 18th Century, where the Enclosure Commissioners met to re-apportion the unenclosed land of the village, where tenants came annually to pay rent and be entertained at the Rent Dinner, where village band practices were held, and the Second World War Home Guard had their command post, is still the Spencer Arms. 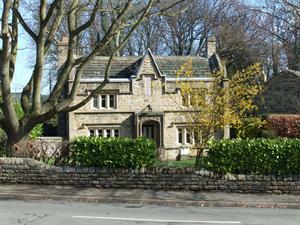 Lane Head Road through the village recalls the fact that this was one of the area’s last toll roads, the Barnsley to Shepley Lane Head Turnpike, with one of its revenue collection points now serving as a private residence, Toll Bar Cottage. The Forge at the bottom of Taylor Hill is no longer the home of the village blacksmith who contributed so much to a horse-drawn, agriculturally-based world while links to the world of leather-working exist only in names such as ‘Bark House Lane’ and ‘Tanyard Beck’. Sometimes two old industries are linked in one place, such as ‘Cinderhills Farm’ whose name recalls the iron industry, and which still has the ruins of an old tanyard. Cawthorne Basin, now a small settlement in the shadow of the M1 motorway, was the basin at the end of the Barnsley Canal, a transport venture supported by the first Walter Spencer-Stanhope. This allowed men such as John Puddephatt, who in the early 19th Centure came to be the excise man at Mr West’s malt kilns (where Malt Kiln Row now stands), to bring his family and furniture from East Anglia to Cawthorne entirely by water. It was to the Basin that coal was brought by horse-drawn trams along the ‘Waggon Road’ from Silkstone for shipping eastwards. The return cargo of limestone was burned in kilns at the Basin to provide lime for land newly brought into cultivation by the Enclosure Acts. The ruins of the kilns are now one of the last remnants of what was once a thriving centre of the area’s industrial history. By the end of the 19th Century the Spencer-Stanhopes provided employment for most of Cawthorne’s adult population in service, agriculture and allied trades, and in mining. This estate village was, however, to last only until the middle of the 20th Century. A Second World War army camp occupied part of Cannon Hall Park, followed by opencast mining which changed the whole character of the area and destroyed many amenities such as a nine hole golf course, an open-air swimming pool, the old cricket field and cut off the water supply to the Fountain provided for the village by the Spencer-Stanhopes in the 1860’s. 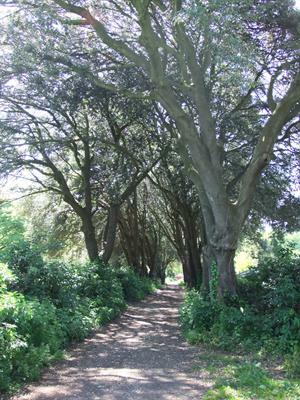 Changing economic conditions and death duties resulted in the sale of Cannon Hall and, subsequently, parcels of land in the village for building. Towards the end of the last century, the village faced many of the problems common to commuter villages. The village grocery stores could not complete with local supermarkets easily reached by the new mobile population and were replaced by a gallery and an antiques centre. Dwindling numbers threatened the existence of the village school, but the attraction of the ethos of a caring Church of England establishment, coupled with good academic results has attracted parents from outside Cawthorne leading to a healthy growth in numbers. The Children’s Centre has added to the expansionist trend by serving as a feeder to the school. 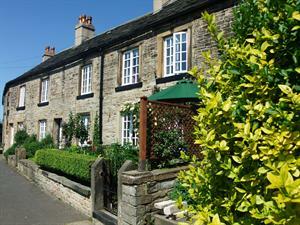 Cawthorne today has most of the institutions necessary to healthy village survival. 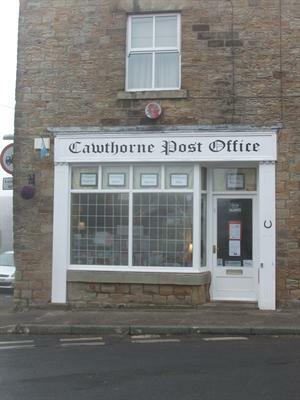 The Cawthorne Village Store continues to prove a ‘god-send’ for those without transport and the Post Office / Newsagent occupies the same building it has done for a hundred years. Two former schools are also still serving the community. The former Grammar School (dating from 1639) is now All Saints’ Parish Room, while Lady Elizabeth Spencer-Stanhope’s Girls’ School is the Village Hall. No-one in the village should complain of boredom in the evenings, such is the multiplicity of clubs/groups such as - Grass Roots Theatre Group, Choral Society, Cawthorne Wives, Mothers’ Union, Young Farmers, Bellringers and Cawthorne Brass Band to name a few! Eating and drinking is catered for by the village pub, The Spencer Arms, Beatson House Restaurant (once the home and the shop of the village butcher) and Tivydale Club. With refreshments also being offered in the Village Store and the Antique Centre. 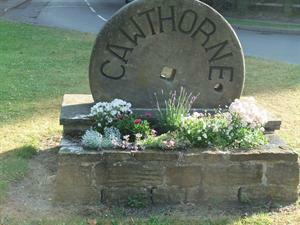 At the moment, Cawthorne is alive as a community and is fighting hard to control its own destiny. The farms have gone from the centre of the village, but those which remain in the outlying parts of the parish have survived by amalgamation into larger units, or, like Cannon Hall Open Farm, diversifying into tourism. The two churches Anglican and Methodist, work closely together and an enthusiastic ‘Churches Together’ group meets regularly to discuss problems and plan joint activities. The Victoria Jubilee Museum, begun in 1887 by the Spencer-Stanhopes, is the repository of artefacts, photographs and documents of Cawthorne’s history and the results of the ‘collecting mania’ of the working men of Victorian Cawthorne who were the first members of the Museum Society. The Museum is still an independent, self-financing organisation, owned since 1953 by the village people and administered on their behalf by eight trustees and eight elected committee members.